The new UFO sighting in Saudi Arabia came just a few days after another triangular flying object was spotted during a thunderstorm. Mavi777, a popular conspiracy theory YouTube channel has recently uploaded an eerie video that shows a bright triangular unidentified flying object (UFO) hovering in the skies of Saudi Arabia. 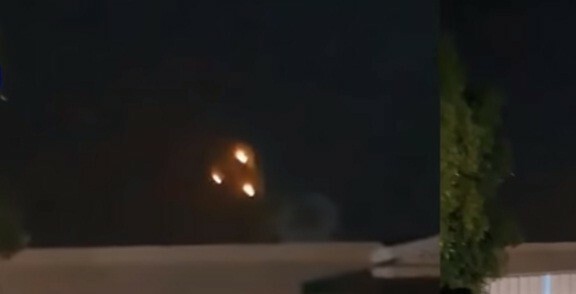 The new triangular UFO sighting in Saudi Arabia was reported just a few days after Tyler Glockner, a popular alien researcher who runs the YouTube channel 'Secureteam10' released a footage that shows another triangular object floating in the skies during a thunderstorm. As this footage went viral, many extraterrestrial buffs argued that alien spaceships might be using thunderstorms and lightning to harvest energy. As per Colombano, these aliens might be using sophisticated technology unknown to humans which help them to do interstellar travel.